"I had a great stay there." Have a question for Puerto Bay View Backpackers? "The single room is a good option, about the same price as a bed in the dorm..."
"Location was great and easy to find when coming from the airport." "Still good value for money overall !" "You will have free wifi and free drinking water." 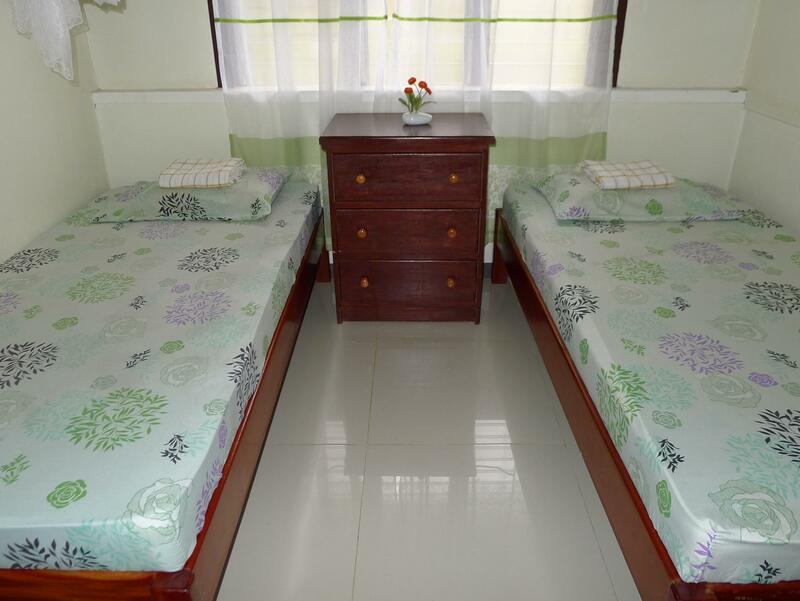 Offering quality accommodations in the sightseeing, restaurants, beaches district of Palawan,Puerto Bay View Backpackers is a popular pick for both business and leisure travelers. From here, guests can enjoy easy access to all that the lively city has to offer. No less exceptional is the hotel's easy access to the city's myriad attractions and landmarks, such as Plaza Cuartel Park, Immaculate Conception Cathedral, Puerto Princesa cathedral. AtPuerto Bay View Backpackers, every effort is made to make guests feel comfortable. To do so, the hotel provides the best in services and amenities. Smoking area, tours, car park, Wi-Fi in public areas, family room are just a few of the facilities that set Puerto Bay View Backpackers apart from other hotels in the city. All guest accommodations feature thoughtful amenities to ensure an unparalleled sense of comfort. The hotel offers fantastic facilities, including garden, to help you unwind after an action-packed day in the city. 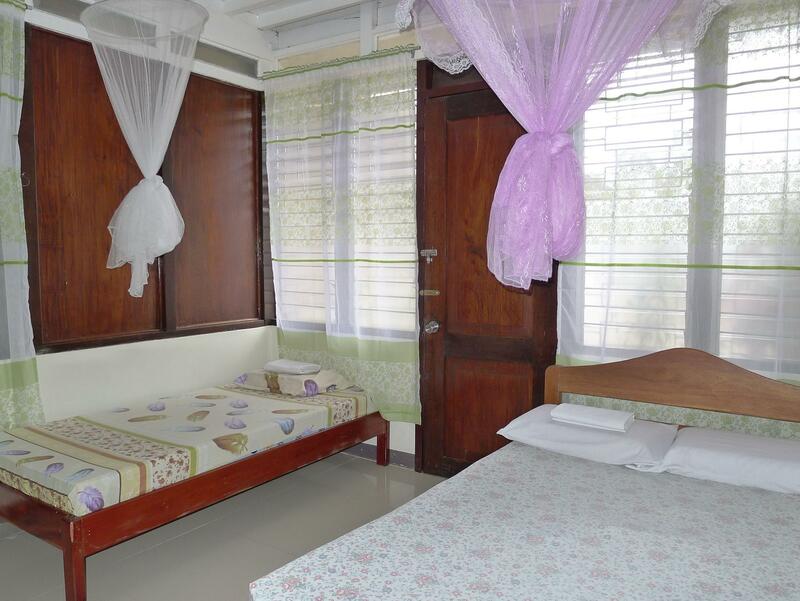 Discover an engaging blend of professional service and a wide array of features at Puerto Bay View Backpackers. 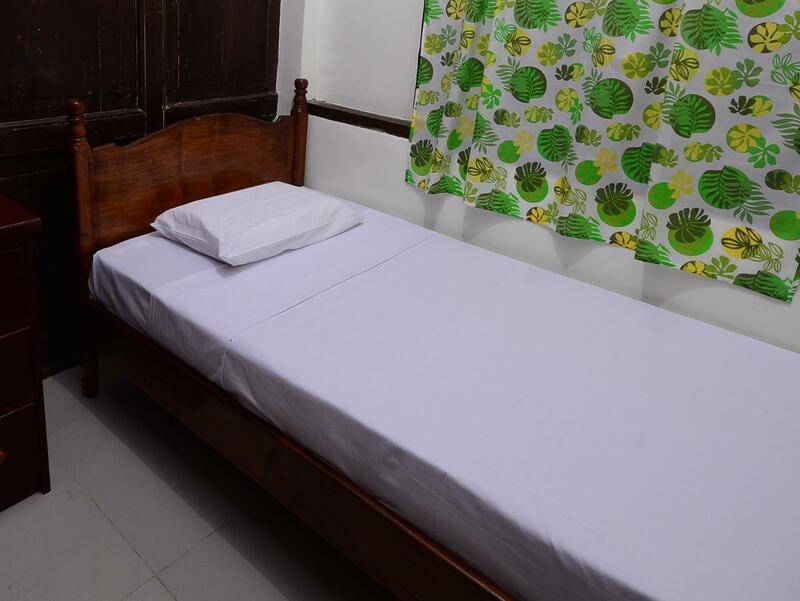 "The beds were comfortable, shower was hot and staff was very..."
The guesthouse is okay in general but no one seems to be doing any housekeeping. The comfort rooms could use some cleaning and fixing. It would also be nice if there are plates and utensils in the dining area. 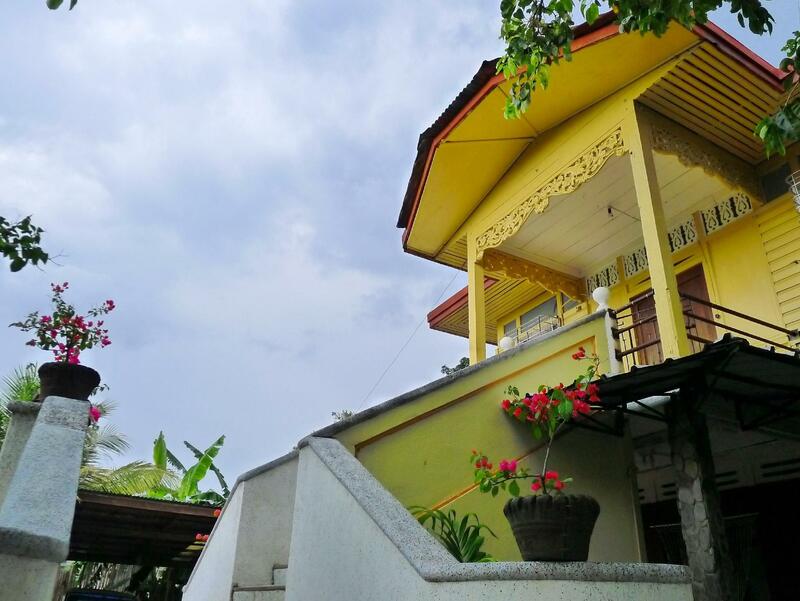 It's an old traditional and well-preserved Filipino house that could have been more welcoming. I am a female solo traveller. I arrived at 7pm in the dark, the hostel is on a back street behind a gate and not many lights so didn't look open. Was greeted by 3 men and barking dogs. Didn't feel good about it but then a young lady appeared and showed me in. I had to ask about everything otherwise she would have walked off without telling me - the shared bathroom was down the corridor, the Wi-Fi was broken, there was 1 man in the room next to mine. Then she left, the hostel was totally empty, no other staff anywhere, all empty rooms. My room was annold single bed with electric fan, mosquito net and some drawers so overall pretty standard for £4 a night. But I was totally alone with no feeling of security with the constant sound of men's voices and barking dogs outside. Totally innocent people of course but I just would have like SOME feeling of security and there wasn't any. Then the power went out at 9pm and again at about 6am, both times fixed by someone outside within 15 minutes so thank you to them. This morning I packed up and left, still with no one at the desk to talk to or check out with. Supposed to be staying for another night but no way in hell is that happening. I had a great stay there. It was a peaceful clean place. You will have free wifi and free drinking water. It is near Puerto Bay so if you like a nice walk around the bay then it is a good place for you. During night time, puerto bay has also a lot of food stalls and restaurants which u will enjoy. P.S. I was the only tenant that time. I had a really great time as a solo traveler. the place were okay for its price. +good loc/kitchen/water provided - if you expect clean bathrooms and toilets thats not your place and at the same time if you expect a private room where to invite someone thats also not the place cause visitors arent welcome. I was the only guest (apart from my roommate the mouse) when I stayed and so cleaning was minimal. Staff were friendly, but the atmosphere was a bit odd. The dog had a little of 2 month old puppies running free which I loved (others might not), although they did have fleas. The single room is a good option, about the same price as a bed in the dorm... The staff is friendly and the place is nice, but there's no private bathroom ... Still good value for money overall ! I arrived late night, almost 12am and good thing the staff still opened the door for me. She's very warm and friendly. The room was clean & just right for me. Surrounding is quiet. 1 thing though, the heater was not working. Good location. Jeanette is amazing. She is so helpful and friendly. I stayed in a single room and it was comfortable and a decent size. The garden area is a nice place to relax and meet other travelers. The bathrooms are fine. I think it's just the Philippines in general that has bad plumbing so the water sometimes cuts out and showers have very little pressure but you can't expect too much for the price. Will definitely return! Comfortable and private space for cheap, good Wi-Fi, next to Rizal Avenue so it's a walking distance from everything interesting. a nice place not far from bay walk. staff is nice, room was reasonably clean. located in a quiet neighbourhood, off the rizal. nice one. will go back for sure. Don't stay there! After a day trip back to my room, the locked door was still locked. But my credit card was gone (but passport and my diving certificate card that I put with my credit card together were still there). My bank informed me someone were trying withdraw money from the credit card but failed due to pin code protection. When I raised the issue to the owner of the house, she said the police won't even bother to come unless I have proof that my credit card got stolen...... stolen is stolen, need a proof? And then she straightaway directed the "possible" to other in house guests....... The worst thing is that the owner lady said "we can do nothing, coz you at least still have your passport!" What a cold and irrelevant response! Guys, think! my room was locked when I left and locked when I back, I have the key with me during my day trip.... and the owner's first thought was other in house guest.... Anyhow, without credit card, I have to cancel the rest of my trip and go home 8 days earlier than planned. my six (6) day stay here in Puerto Bay View Backpackers was an enjoyable and comfortable one. Value for money indeed. the owner Ms Bats Paz was gracious and attentive to the needs of the guests. the staff were also courteous. safe place, the feeling of "home away from home. will definitely stay again at Puerto Bay View Backpackers. We stayed 3 nights . Usually we planed 1 night but our ferry was cancelled . Janet , she's working at this hotel helps us to book a new one . The food is also good and we had finally great brew coffee which was free , water also. We had warm water for the shower. It's close to the bay walk where you can find fresh fish and enjoy the great atmosphere on the water. We had a really good time here , for coming down . Thanks for the nice time ! Stayed here when we landed in PPS before going to Port Barton. The beds were comfortable, shower was hot and staff was very kind. Location was great and easy to find when coming from the airport. We ended up staying here when we returned as well. A great and cheap accomandation. Would recommend.